I like what I see; Patna comes alive in the streets in the day time with cars and people all in continuous motion striving to make place for them. I reached Har Mandir Saheb, Patna, which was first built in the 18th century by Maharaja Ranjit Singh, the first king of the Sikh empire. It was constructed in the memory of Guru Gobind Singh Ji, the 10th Guru of the Sikhs for he was born here and is considered a pilgrimage for the Sikhs. The Gurudwara was a building in white, a superb example of Sikh architecture and very impressive. The first thing that I felt was a sense of tranquility around the Gurudwara. I removed my footwear and took my place in the queue, separate for men and women to enter the premise. I had been directed like all others to cover my head, which I could do with my handkerchief. Once in there came in view all the devotees sitting on the carpet facing the holy granth and I could hear the recital of the holy scripture, which soothe my ears. It is one of the 5 takhats or Holy seats of authority of the Sikhs. 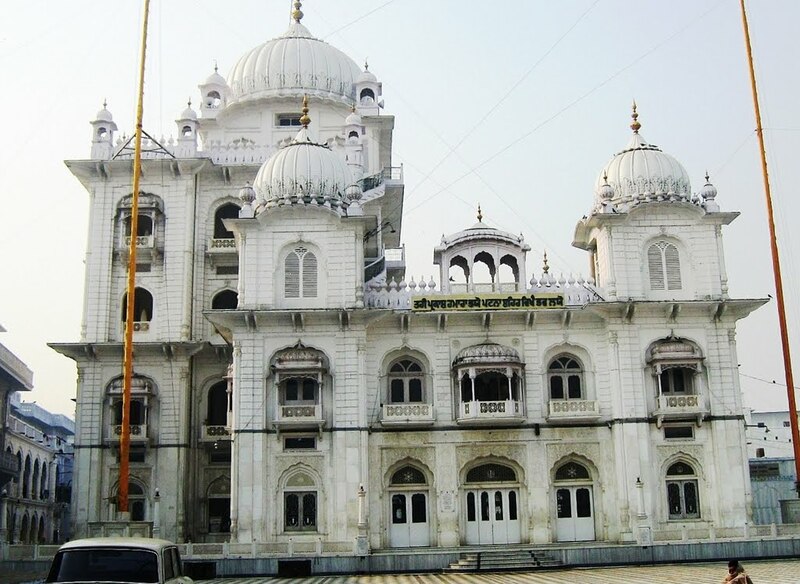 The Gurudwara has been rebuilt twice, first when there was destruction due to fire and next when a portion of the mandir collapsed due to an earthquake. It is said that Salis Rai Jouri was a profound devotee of Sikhism and he converted his palatial home over here into a dharamsala, a place of learning of ‘dharam’. It is over this that the edifice has been constructed. The place has a huge historical significance and considered extremely sacred. Guru Nanak is believed to have visited it before leaving for Gaya. While mulling over all of these fact, I make way to the ‘langar’, which is the common eating area of the Gurudwara. I have always felt that staying humble and serving others first are two striking principles of this sect. I witness rich and affluent coming at par with the general populace at Har Mandir Saheb, Patna serving and eating at the langar where I too have my food before leaving for Khuda baksh oriental public library, Patna.